The Trocadero Theatre, one of Philadelphia’s longest-running mid-sized venues, is reportedly closing after three decades as a rock club. While there’s been no official word from the venue, there are only 10 ticketed shows listed now through August and promoters who book shows there have told Philly.com the Troc is closing and that their shows are moving. 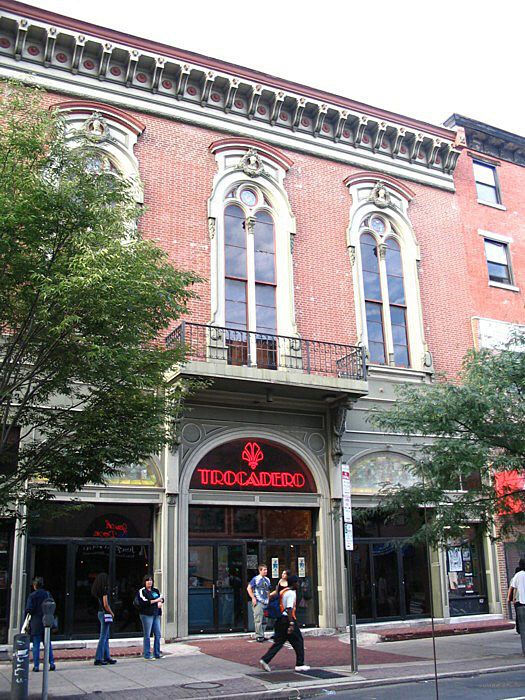 Two Trocadero employees confirmed to Philadelphia Magazine that it is closing as well. The theater actually opened in 1870 as the Arch Street Opera House, was renamed The Trocadero in 1896 and was home to vaudeville and striptease through the 1970s. In the mid-’80s it became a music venue and the 1200-capacity room was one of the major rock stops through the ’90s and ’00s. Pretty much everybody played there, from Guns N’ Roses on the Appetite for Destruction tour, to tons of punk shows, to indie rock like Sleater-Kinney, Wilco, Sonic Youth, Pearl Jam, Jeff Buckley, to Nancy Sinatra and Tom Jones. We’re gonna miss the Troc.